What is Crafting for Shoeboxes? In this tutorial, you will learn how to make a carry cot for a mini baby doll. 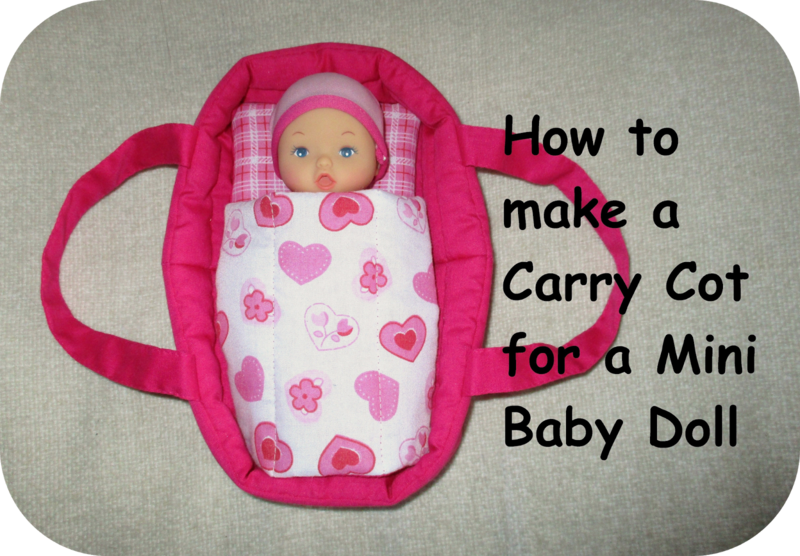 The fabric sizes given here will result in a carry cot to fit the Little Baby Doll from Wilkinsons in the UK. These sweet dolls measure 6 ¾ - 7 inches (17 - 18 cm) from head to toe. 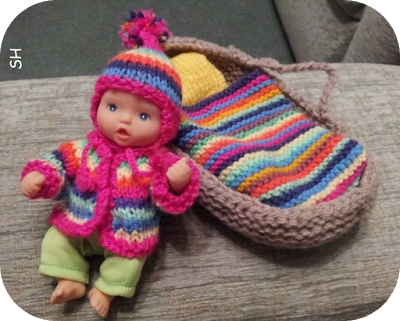 If you want to make one for a different sized doll, please scroll to the bottom of the post to see how to alter the pattern. The figures in the square brackets [ ] refer to that section. If you use this, or any of our patterns, we'd love to see photos of what you make. You can send them to craftingforshoeboxes[at]gmail[dot]com or post them on our Facebook page. Happiness is handmade. 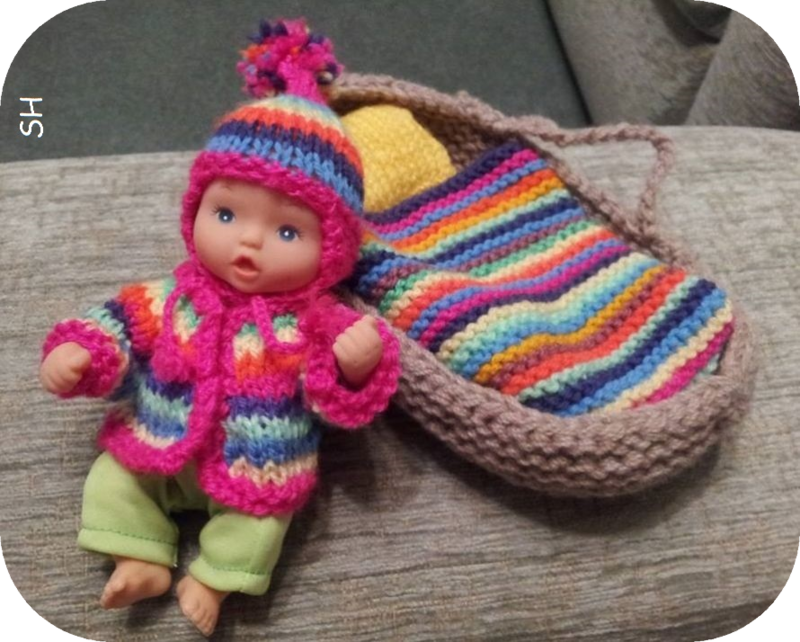 I was inspired to make this by Stevie's original knitting pattern which is available here. Key rings are a fun and functional item for shoeboxes. They can be attached to zips, bags, backpacks and belt loops as well as keys. I like to make key rings for my shoeboxes for older girls and boys, as well as for families and elderly people. 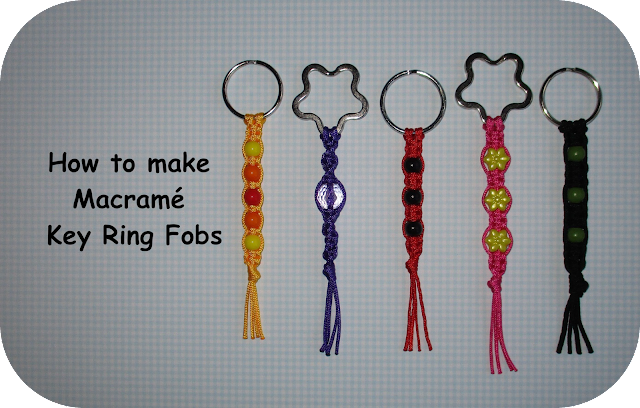 In this tutorial, you will learn how to make simple key ring fobs using basic macramé knots. Please don't be put off by the long post and the number of photos – I wanted to cover all the steps. If you get lost, I have included a link to a video that makes it all very clear. We have new and improved versions of our colouring booklets for 2017. You can download and print them from here.